Abundant practitioner literature has been published endorsing blog use in the classroom and offering strategies and resources for differing content area teachers. Two recent examples of such resources for teachers are these books: Making Connections with Blogging: Authentic Learning for Today’s Classrooms (Parisi & Crosby, 2012) and Blogs, Wikis, Podcasts, and Other Powerful WebWeb Tools for Classrooms (Richardson, 2010). While Parisi and Crosby’s book (2012) focuses primarily on blogging for content area learning, Richardson’s (2010) text covers a broad range of technology applications, with WebWeblogs being only one of them. 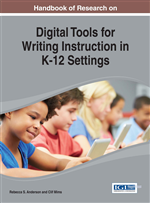 Both books provide sample teacher assignments and resources, in addition to classroom ideas. We were interested, however, in reviewing literature more closely relevant to LA and SS classrooms.